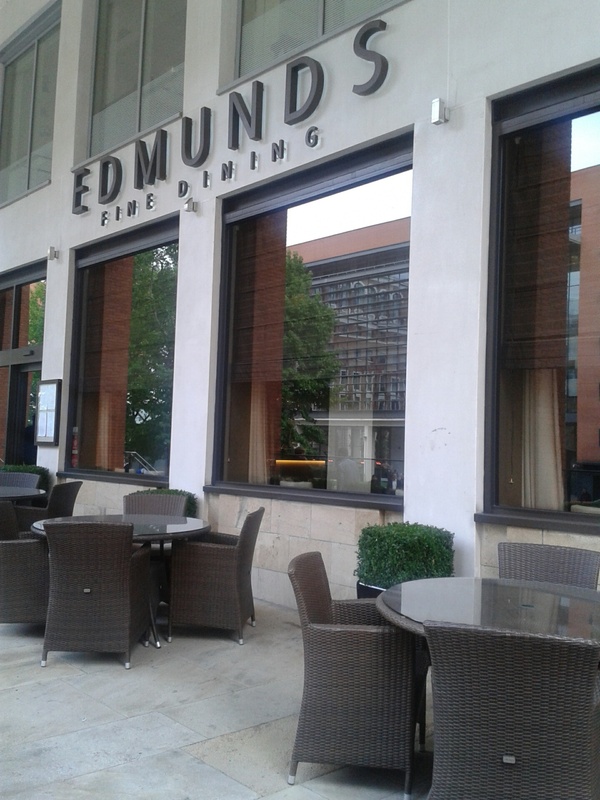 One of the most established members of the group of restaurants in Brindley Place is Edmunds. British in name and nature, the menu is a mix of traditional and contemporary food, found across the British Isles. You must book a table in advance because showing up and expecting a table on a Friday or Saturday night is impossible. My boyfriend and I booked our table for 6pm, and were surprised to find only three other tables of diners. By 7.30pm however, the bar was full of after-work men and women in suits, knocking back a few drinks. Divine cream leather seating made our evening that bit luxurious. I dined here to celebrate passing my driving test with my boyfriend. 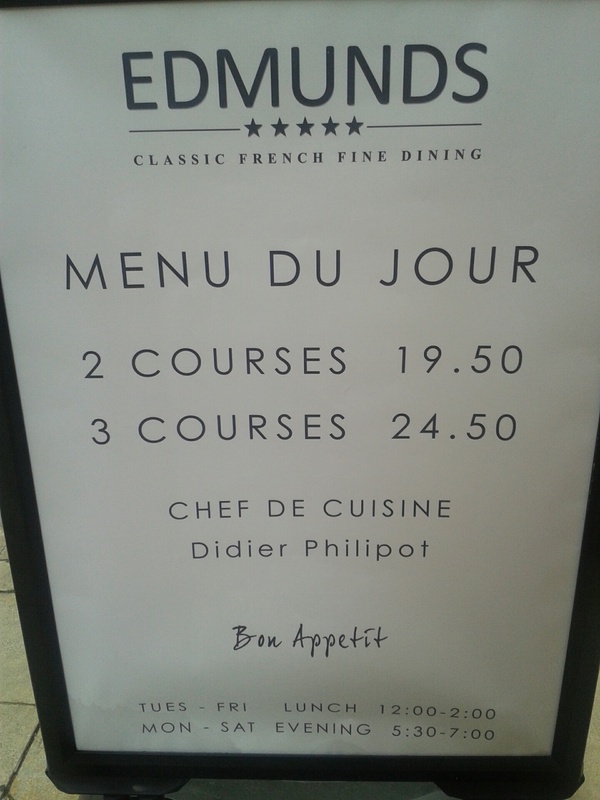 With six different menus to choose from we were spoilt for choice: Menu Du Joir 1 course £15.00, 2 course £20.00, 3 course £25.00; A la Carte Includes chef's amuse bouche, 2 courses £40, 3 courses £45; Didier's Surprise; Vegetarian Menu and the Discovery Menu Available from Tuesday evening to Thursday evening from 6pm, Friday and Saturday available from 5.30 to 6.30, 3 Courses £30. Although it was a celebration we had the cost in mind and opted for the Menu Du Joir; we both enjoyed two courses each for £20 per head. 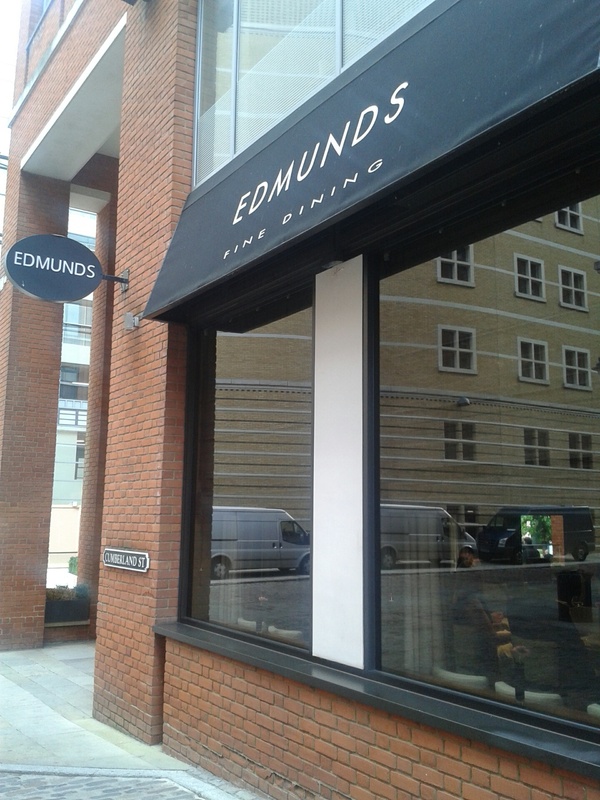 Edmund's has an air of propriety - the staff are friendly, polite, and treated us with the utmost respect. The customer's who are only ordering a main and bottled water are served with the same smile as those ordering copious bottles of wine. Whether you have a tab at the bar or not Edmunds treats all customers equally. And you don't get that everywhere. Edmunds is certainly one of those restaurants you visit for a special occasion, just make sure you check out the prices beforehand because when you're celebrating, the bill will be the last thing on your mind.